A boutique advisory within a global firm, the Blue Rider Group focuses on serving prominent collectors, artists, foundations, museums, and non-profit organizations. The Blue Rider Group provides financial advice to prominent collectors, artists, foundations, museums and non-profit organizations. We leverage an open architecture investment platform to construct customized equity, fixed income and private investment portfolios to address the needs of each client. The Blue Rider Group is also committed to sustainable and impact investing. We actively incorporate strategies that utilize environmental, social and governance criteria to make investment decisions, helping create positive change and drive investment returns. 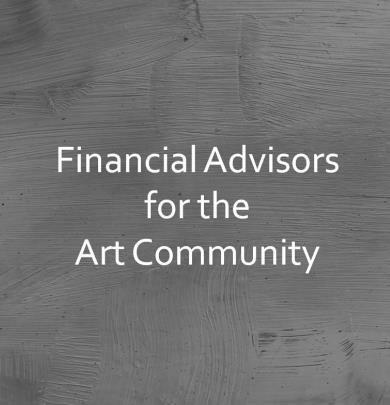 In addition to addressing our clients' financial needs, we facilitate introductions between collectors, raise awareness about organizations and help support projects that strengthen the art community. We are passionate about art and the community of people involved in making, curating, acquiring and caring for it. The Blue Rider Group is excited to support Lucas Blalock's first solo U.S. museum exhibition at the ICA Los Angeles. The Blue Rider Group is a major supporter of Tauba Auerbach's Public Art Fund Project "Flow Separation"
“Spirits—and Sales—Are High During Art Basel in Miami Beach’s VIP Preview,” Artnet. Lauren is a founder of the Blue Rider Group, focusing on investments, helping clients construct appropriate asset allocations and generate opportunistic trade ideas. 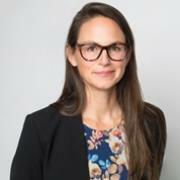 She represents the team as an Investing with Impact Director at Morgan Stanley; as a member of this internal advisory board, directors are tasked with shaping and growing the Investing with Impact platform and making sure it is aligned with the needs of our clients. 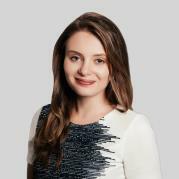 Lauren has spent her entire career in the investment management business, most recently at J.P. Morgan Private Bank. Her background is in Fixed Income, having worked on the Credit Sales & Trading desk at Lehman Brothers and Barclays. Prior to that role, she was an investment advisor at Lehman Brothers. Lauren earned her BA from Dartmouth College. She is actively involved in volunteering and fundraising for Memorial Sloan Kettering Cancer Center, the Ronald McDonald House and Lwala Community Alliance in Kenya. She is on the Alumni Athletic board of Princeton Day School, in Princeton, NJ. Dan is a founder of the Blue Rider Group. With his team Dan advises clients on investment strategies, estate planning, philanthropy, banking and credit. Before forming the Blue Rider Group, Dan was a Private Banker at J.P. Morgan. Prior to that Dan worked with collectors of fine and decorative arts at Artnet, the internet portal to the art world. 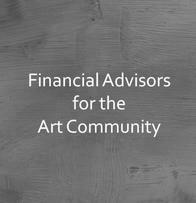 As the manager of Artnet’s client service group he connected buyers and sellers of fine art and assisted them with valuations. Dan earned his BA from Bard College and MBA from Cornell University. He is on the advisory board of the Ad Reinhardt Foundation and chairs the Bard Center for Curatorial Studies Arts Council. 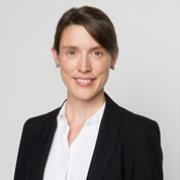 Maryanna focuses on investments, helping clients develop asset allocations and generate opportunistic trade ideas. Maryanna joined the Blue Rider Group from J.P. Morgan, where she was a Private Banker, focusing on clients in the art world. Prior to that she worked at the Boston Consulting Group, where she advised management teams of Fortune 500 Companies. Maryanna started her career at Christie’s Auction House, providing appraisals and collection advice to collectors. Maryanna earned her BA from Williams College and MBA from MIT Sloan School of Management. She serves on the Board of Directors of the Children’s Arts Guild and on the Local Advisory Board of the Ackland Museum of Art. Anna advises clients on investment strategies, estate planning strategies, philanthropy, cash management and lending solutions. Prior to joining the Blue Rider Group she worked as a strategic consultant for Sotheby's and several non-profit arts organizations. She also has experience in collections management, art storage and logistics having been a Vice President at UOVO. Anna started her career as an analyst at J.P. Morgan Private Bank. Anna earned her BA from Harvard College and MBA from Harvard Business School. She is a member of the Schools Committee of the Harvard Club of New York City, and is a partner of the VIA Art Fund. 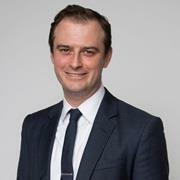 Jonathan oversees operations and supports investment activities for the Blue Rider Group. Jonathan assists clients with their daily financial needs including money movement, trading, credit analysis, technology support and onboarding. Prior to joining the team, Jonathan was an associate for Fixed Income Sales and Trading in Morgan Stanley’s Firmwide Operations. 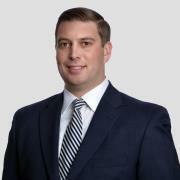 Jonathan began his career in the firm’s Security Settlements Department working directly with Prime Brokerage and Wealth Management clients. Jonathan earned his BBA with a finance concentration from the Sellinger School of Business and Management at Loyola University Maryland. A native of Buffalo, NY, Jonathan graduated from St. Joseph’s Collegiate Institute. Providing clients access to sustainable investing products and strategies while also pioneering solutions to our global challenges. 1Insurance products are offered in conjunction with Morgan Stanley Smith Barney LLC’s licensed insurance agency affiliates. 2Morgan Stanley Smith Barney LLC and its affiliates and their employees (including Financial Advisors and Private Wealth Advisors) are not in the business of providing tax or legal advice. These materials and any statements contained herein should not be construed as tax or legal advice. Individuals should consult their personal tax advisor or attorney for matters involving taxation and tax planning and their attorney for matters involving personal trusts and estate planning.